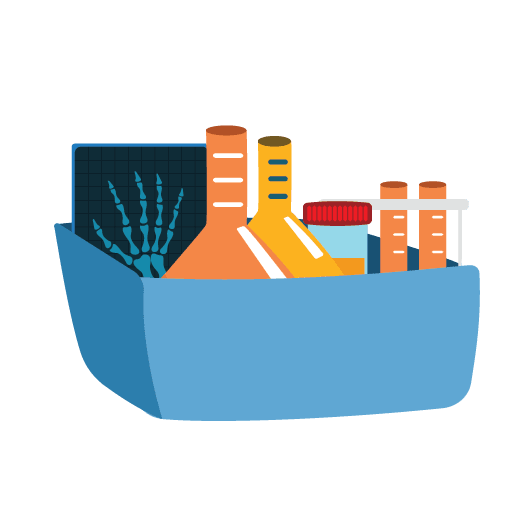 - Inositol balances certain chemicals in the body to possibly help with conditions such as panic disorder, depression, obsessive-compulsive disorder, and polycystic ovary syndrome. - Alpha-lipoic acid prevents certain kinds of cell damage in the body and also restores vitamin levels such as vitamin E and vitamin C. It also improves the function and conduction of neurons in diabetes. - Benfotiamine plays a therapeutic role in pain reduction and diabetic complications. - Vitamin B6 /Pyridoxine is a dietary aid and protects nerves from the side effect of drugs. - Methylcobalamin is helped the body to make red blood and nerve cells. 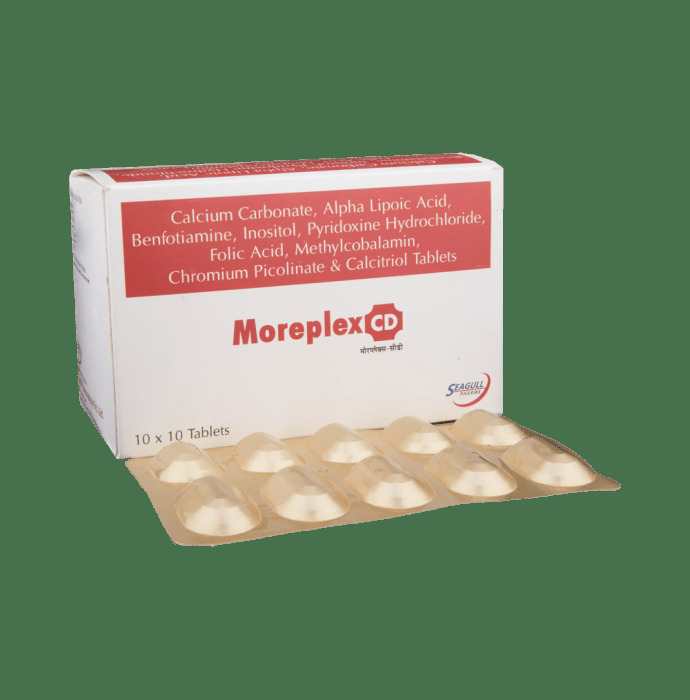 - Moreplex CD tablets are used as a nutritional supplement or as an alternative therapy for pain disorders. - As directed by the physician. 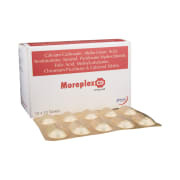 A licensed pharmacy from your nearest location will deliver Moreplex CD CD Tablet. Once the pharmacy accepts your order, the details of the pharmacy will be shared with you. Acceptance of your order is based on the validity of your prescription and the availability of this medicine.